With the National EdTech Plan, the report bookends Cator’s energetic contribution. A former Apple exec, Cator “would like to manage a smooth transition to the next director” and will probably return to the private sector in the first quarter. used to help classroom teachers dynamically adapt their instructional methods” and highlights the New Visions created the Ninth Grade Tracker and the College Readiness Tracker. 3. Promote responsive supports. This section acknowledges that schools 1) need to be more responsive to students’ needs and interests, 2) appreciate that learning happens in a wide range of settings, and 3) attend to the multiple aspects of their well-being. The report is bullish on embedding assessments in learning experiences as well as “the promise of automating the scoring of complex performances, addressing issues of cost and reliability at the same time. A case in point is the automated scoring of student essays” (aproject I co-directed). 5. Finding resources and making choices . It’s becoming easier to produce learning content and common standards are making it easier to share. The report cited examples of pulling together learning resources from multiple sources like LearnZillion andGooruLearning but left out the biggest one–Edmodo. 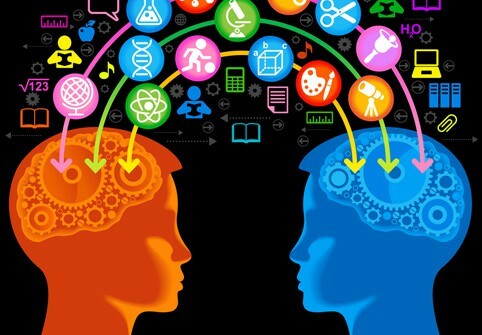 My favorite involves “Interdisciplinary teams of experts in educational data mining, learning analytics, and visual analytics should collaborate to design and implement research and evidence projects.” There is great promise in both university and enterprise settings for interdisciplinary approaches. ClassDojo , LearnZillion and Edmodo are portfolio companies of Learn Capital where Tom is a partner. Digital Learning Now is a Getting Smart advocacy partner. This blog first appeared on EdWeek. I simply wanted to send a simple note in order to express gratitude to you for all the remarkable items you are placing on this website. My long internet lookup has now been rewarded with sensible concept to talk about with my company. I ‘d claim that many of us site visitors actually are very much lucky to be in a remarkable community with many awesome individuals with great solutions. I feel extremely happy to have used your web site and look forward to tons of more enjoyable moments reading here. Thanks once more for all the details. My husband and i felt now peaceful that Chris could carry out his research with the precious recommendations he was given while using the site. It’s not at all simplistic just to happen to be releasing tips and hints which usually other folks have been trying to sell. And we already know we need the writer to appreciate for that. These illustrations you’ve made, the easy web site menu, the relationships your site give support to instill – it’s all astonishing, and it’s assisting our son in addition to us consider that that concept is awesome, and that’s extraordinarily important. Thank you for the whole lot!